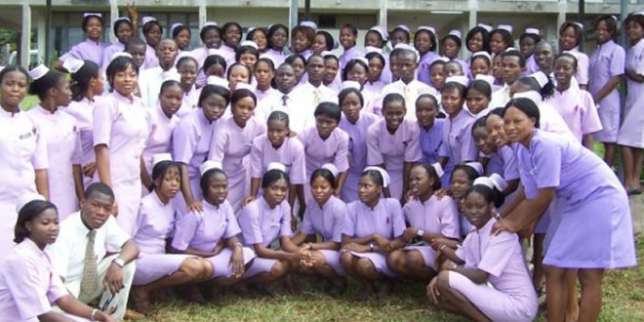 Inspire Nurses Network Africa (INNA), an NGO, on Sunday in Abuja said 90 per cent of Nigerian Nurses lacked basic life support skills on emergency care. Josiah Okesola, Leader of the group, disclosed this while fielding questions from the News Agency of Nigeria. Okesola, who was accompanied by Mrs Regina Askia-Williams, emphasised that every nurse was supposed to be trained on emotional intelligence and critical thinking as well as basic life support skills. She said these would enable them to respond effectively to emergency anywhere they found themselves. Emotional intelligence is an important characteristic of nurses that could affect the quality of their work including clinical decision making, critical thinking evidence and knowledge of practice. Basic life support skills aid health workers on the management of choking, bleeding, shock and heart attack, among other emergency incidences. These skills also assist in meeting health and safety of patients, students as well as workers. He lamented that majority of nurses in Nigeria lacked such training and skills to arrest heart attack or prevent sudden death . “Ideally, every nurse is supposed to be trained on national basic life support and equipped with the skills so that when he or she is hit with any emergency situation anywhere, anytime they will know the simple remedy to arrest heart attack, to prevent sudden death. “But at the moment 90 per cent of Nigerian nurses do not have basic life support skills. On the allegation of nurses’ negligence to patients’ care, the leader of the group blamed this on foundation problems which included unfriendly working environment, lack of basic working tools such as cotton wool, thermometer and injections. He said in spite of these challenges, nurses were overburdened, citing instances where a nurse had to attend to 20 to 30 patients simultaneously. According to him, this challenge informed the acclaimed “I don’t care attitude of some nurses”, saying, “ if they have good working environment, well armed with adequate skills, knowledge and basic working materials, their services will be efficient”. Okesola noted that the same nurses when they traveled abroad performed excellently, describing the alleged “I don’t care’’ attitude as a reflection of how they were being treated in Nigeria. “I personally had to nurse over 30 patients per shift; imagine a nurse having four to five patients on emergency who are dependent on her, each one of them calling simultaneously for attention.